With Teen Wolf’s final New York Comic-Con panel in the books, it was a nostalgic and emotional weekend for the fans as well as the cast and crew of the MTV show. A devoted fan of the series myself, I jumped at the chance to sit down with stars Tyler Posey and Holland Roden as well as Executive Producer Jeff Davis (also the creator of Criminal Minds) and hear their perspectives personally. 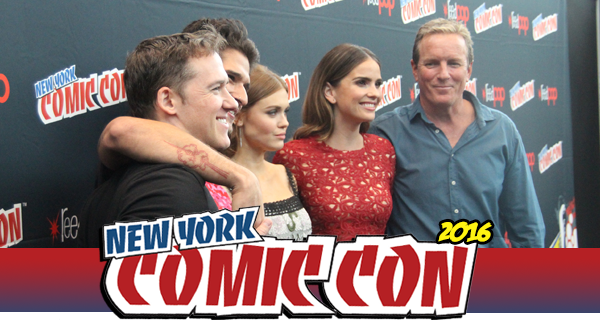 Cast members Linden Ashby, Melissa Ponzio, and Shelley Hennig were also in the room and are included in the photo ops below. Read what they had to say and check out exclusive photos from the roundtable interviews here below.